Lake County Sheriff officers and Hawthorn Police are at a house in northwest suburban Hawthorn Woods. HAWTHORN WOODS, Ill. (WLS) -- A SWAT team, Lake County Sheriff officers and Hawthorn Police were at a house in northwest suburban Hawthorn Woods Thursday morning after a prank caller called 911. A witness who lives across the street from the house, located on Bluebird Court, said there were six squad cars out in front of the house and officers has guns drawn. Investigators said in two 911 calls, a 19-year-old man claimed he had killed his parents and had a bomb, but it all turned out to be a hoax. 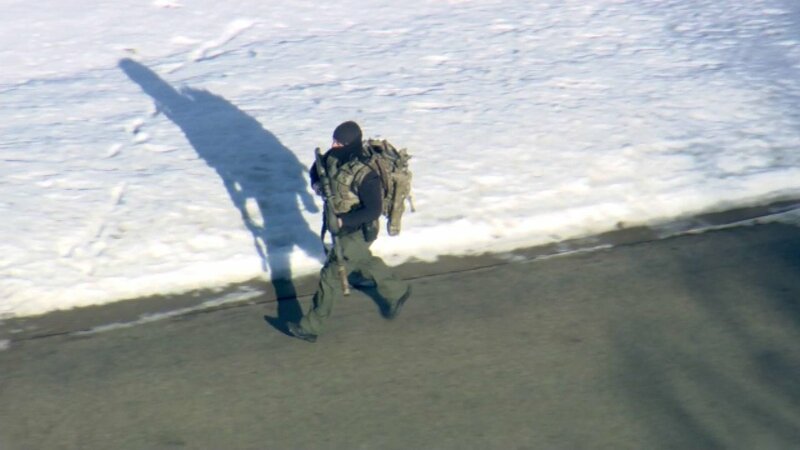 The Lake County Sheriff's Office Tactical Response Team made entry into the house and found nothing suspicious. Nobody was inside the residence and there was no indication of foul. Everyone was found to be safe, police said. Police are conducting an investigation to determine who the fraudulent caller was.